A romantic spirit is also found in the villages of this island. Here life goes on as it has for centuries. The pain on Mirka’s face explained “the Cypriot problem” far better than the guidebooks ever could. We stood on the Green Line, an ugly scar marking the division of the island after a bloody Turkish invasion in 1974. “I cannot visit all of my country,” explained Mirka, our guide. Only two years old during the invasion, Mirka had never seen the beaches, resort towns, or archaeological sites of the northern portion of the island. With her, we stood on a wooden lookout with two heavily armed Cypriot soldiers in the capital of Nicosia, an ancient walled city. Steps away, to the south, locals and tourists alike filled the pedestrian mall, dining in al fresco cafes, shopping for locally made copper and silver crafts, and enjoying the Cypriot hospitality for which the island is known. But our attention was turned to the north, peering across the barbed wire into “no man’s land,” a neutral area patrolled by UN troops. Blocks away, we could glimpse the occupied sector of the city. While we, as tourists, could engage in a day trip into northern Cyprus at this crossing, Mirka herself could not venture across the boundry. Beyond the northern half of the city loomed an omnipresent reminder of the island’s political struggles: a giant Turkish flag carved into a hillside that overlooked the southern side of the island. And so, after a visit to Nicosia’s fascinating Cyprus Museum for a look at some of the many relics that have been unearthed on this island, we drove to Kurion, one of the most extensive archaeological sites in Cyprus. Here ancient Greeks had built what just might be called Cyprus’s first resort, complete with hot baths, beautiful mosaics, and a theater with a view of the sea. The Greeks worshipped Aphrodite as well as Apollo in temples throughout the island. Here, on a rock that protrudes from the sea, Aphrodite was allegedly born from the waves; today locals say that eternal youth will grace those who swim around it three times. With its spectacular views and sound of breaking waves, the site is one of the island’s most romantic. 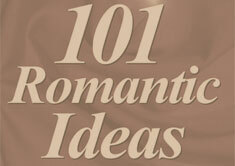 A romantic spirit is also found in the villages, away from the more modern resort communities. Here life goes on as it has for centuries. Days are spent on fertile farms, evenings mean good times in the local tavernas. We found the spirit of Cyprus near Paphos on the western side of the island. After a day of touring ancient mosaics, we headed out to a small taverna for a taste of the mezé, a traditional meal that means a belly-busting array of up to 24 dishes all served family-style with a bottomless terra cotta pitcher of local red wine. Olives, hummus, tahini, skewered lamb, the dishes marched across our table for hours, brought from the kitchen by the owner whose mother served as cook. In the middle of the room an open fire warmed the dining room; in the corner stood a small still producing another sure-fire way to warm up on a cold night: zivania, the local liqueur made from discarded wine grapes. For hours, we dined family style, talking with the taverna owners, eavesdropping on the conversations of fellow diners (mostly Brits and Cypriots) and hearing rain pound on the low tin roof above our heads. lacemakers. Although the handmade lace is expensive, good buys can be found on silver filigree and Commanderia, a Cypriot after-dinner wine that has been made since the 12th century. Our shopping completed, we continued on to the village of Tochni. Red roofed cottages clung to steep hillsides in this medieval town that’s seen little change over the past centuries. However, one recent change has been a government program called Agrotourism, designed to create tourism accommodations from unoccupied cottages. Although basic, these accommodations are a good way for tourists to get a feel for Cyprus off the tourist route. Our final night on Cyprus we headed off for another taverna meal, a final chance to enjoy an evening of good food, Greek music, and an unhurried atmosphere where couples were expected to enjoy their table for the night. We passed up the Zivania and the Commanderia, opting instead for cups of strong Turkish coffee, realizing the instant we placed the said the words that we may may not have made the ideal choice. 800-333-2977 FREE) with connections from Amsterdam, Athens, Berlin, Cairo, Frankfurt, Geneva, London, Manchester, Munich, Paris, Rome, Vienna, Zurich and other cities. Currency: The Cypriot pound (CL) is the official currency. At press time, one Cyprus pound equals $1.67US. 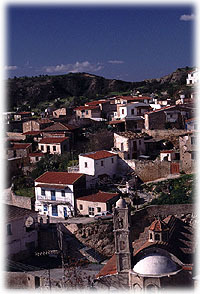 Traveling into Occupied Cyprus: Day trips into the northern section of Cyprus are possible from the city of Nicosia. The Turkish sector offers a different atmosphere with many colorful markets and mosques. However, travelers should be aware that no foreign governments other than Turkey are represented in this occupied region. Also, all day trips must be completed prior to 5 p.m.; after that time travelers are not permitted to return to the southern section and will have to leave the island from the occupied side through Turkey. The Republic of Cyprus tourism offices cannot give advisories on the present state of safety in the northern sector but recommend that travelers contact their embassies for safety updates. Where to Stay: Cyprus’s resort cities offer many four and five-star hotels with watersports and beach activities. In Limassol, contact Nissi Beach (http://www.nissi-beach.com). In Paphos, good choices include Azia Beach Hotel (http://www.aziahotel.com), located high on rugged sea cliffs, and Coral Beach Hotel and Resort (357-06-621711) with a full spa. Peak season is during the summer months. For information on the agrotourism program, contact the Cyprus Tourist Organization for a free guide to traditional homes available in the program. Entry Requirements: US travelers will need to show a passport valid for six months following the arrival date. 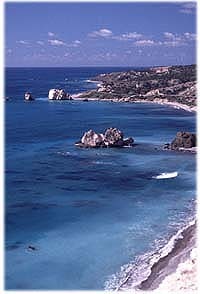 For More Information: Cyprus Tourism Organization official website: http://www.cyprustourism.org.